82-page PDF topic guide which presents a, “session plan, guidance and resources for training day focusing on incorporating restorative approaches. 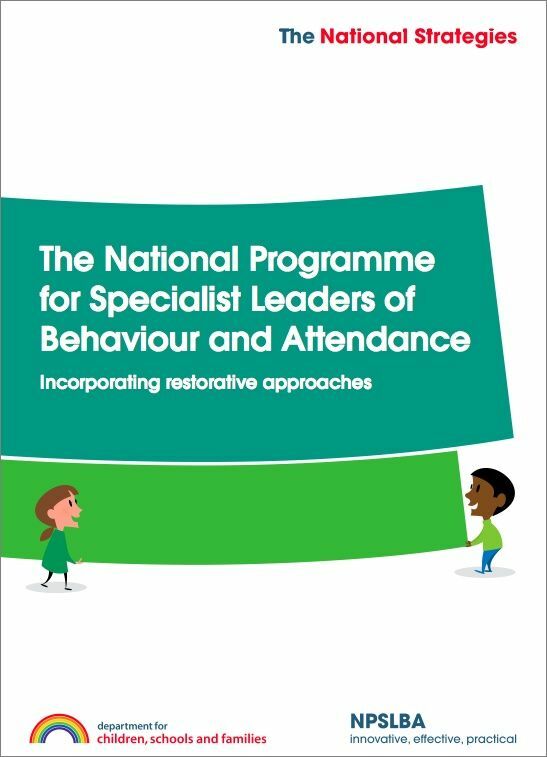 Aims to develop an understanding of restorative approaches and their role in behaviour and attendance improvement. The aim is also [to] develop an understanding of the leadership issues in incorporating restorative approaches and explore how restorative approaches might be developed in [one’s] own setting.” Also available is a related set of 12 slides in ppt format for use in training event.